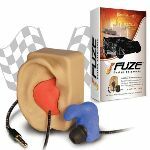 FUZE Racing Earphones are designed for the local speedway. Ideal for racers who need the perfect fit of molded earphones. 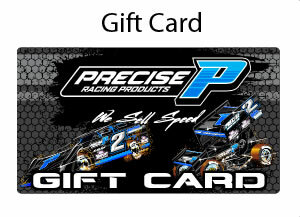 Race proved since 2007 and designed for the local speedway. 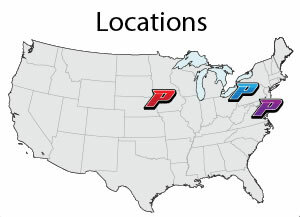 Our products are track tested, podium winning and used worldwide. Track optimized speakers. RACEceiver ready. The unbelievable fit is like Black Magic for the track. 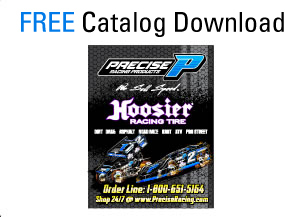 Custom molded fit delivers pro performance. Enjoy the substantial performance benefits of custom-made earpieces for a fraction of the cost. The Black version is marked with a red identifier so it's easy to tell Right ear. Most drivers ask for black. Red/Blue also available. 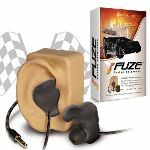 FUZE is absolutely committed to delivering the full benefits of custom molded driver earphones. 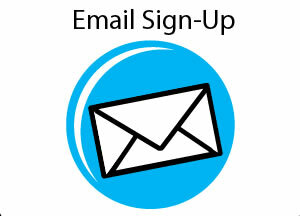 Our products are award-winning and used around the globe. The voice-optimized speakers are intended to deliver all the communication clarity you need for the track, eliminating the cost of music-specific speakers. Braided sheath cord for durability. All Fuze earphones come standard with a universal 3.5mm stereo plug and are RACEceiver ready. Standard 48 inch cord (from plug to earphone).